Few pairings have raised as much interest as Matías Díaz and Franco Stupaczuk. These are two top ten players who have won numerous tournaments in the last few years. Their quality and competitive spirit are right up there with any duo on the planet. After playing with Ale Galán last year, Matías Díaz heads into his umpteenth project with the same ambition as a decade ago. Diaz ended 2018 with two titles to his name (Valladolid and Lugo), proving that he can adapt to and improve any partner. He ended the year among the top four pairings in the world, which means he has now been at the top for almost twenty years. 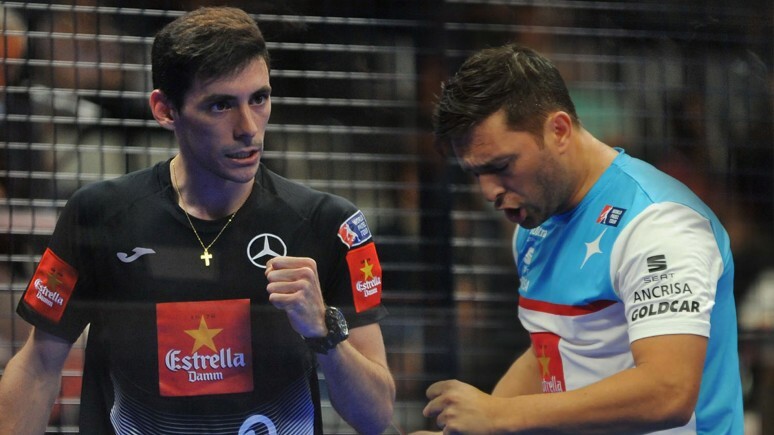 "The Warrior" will be back at it in 2019 with a new partner who, just like Galan, was also named the best player in the world, in 2016. His experience and competitiveness will be at the disposal of one of the most talented players in the world. Franco Stupaczuk has ended his two year partnership with another legend of the game as is Cristian Gutiérrez. Alongside the legendary player from Mar del Plata, Stupa has won his first three titles as a professional. Lightning quick, agile and a dominator of the court, Stupaczuk dreams of becoming the world number one. He couldn't have found a much better partner in Diaz for that proposition.